Welcome to Tizen wearable Web widget application development! 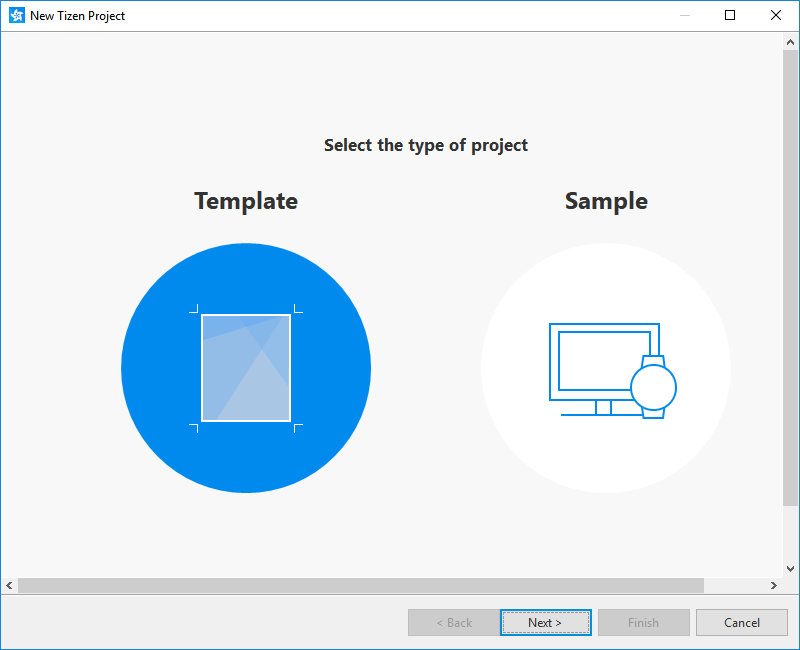 Note Widget template is not supported since Tizen Studio 3.0. Create a wearable Web widget project using the Tizen Studio. 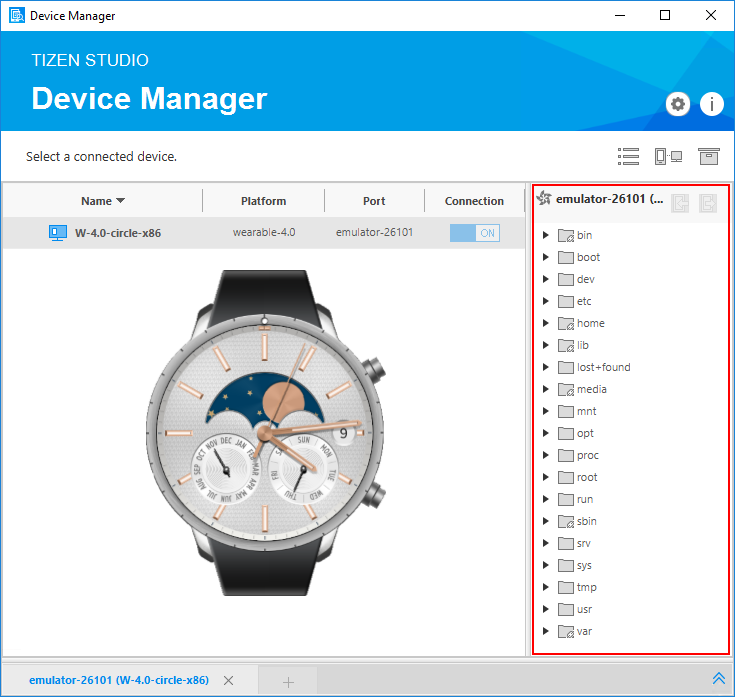 The following example shows you how to create and configure a basic wearable Web widget application project in the Tizen Studio. An application project contains all the files that make up an application. NoteStandalone widget application packages are not allowed in the Tizen Store. preview.png: Preview of the widget application file that is displayed in the widget view on the target. NoteYou can validate your widget and view and modify the application configuration in the Web application configuration editor. In this example, no configuration changes are required. 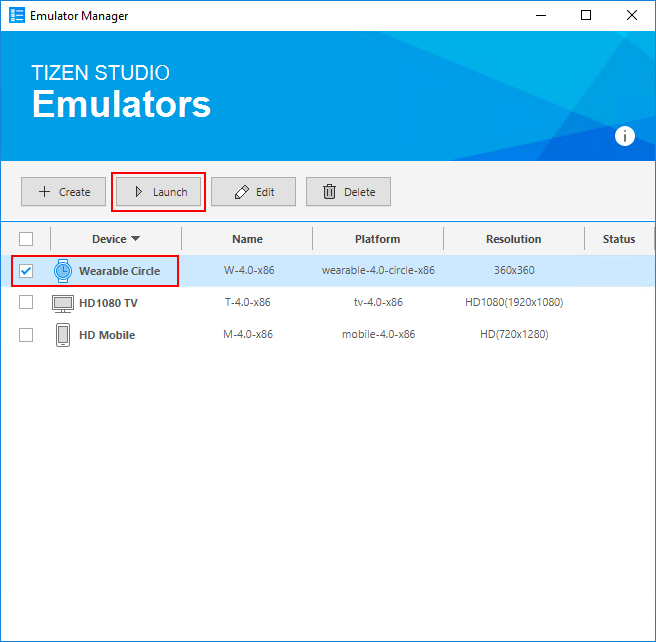 You can enable or disable these validators in the application preferences: go to Window > Preferences > Tizen Studio > WebWidget, and check the applicable check boxes. The validation is performed automatically when the project or package is built, or when the application is run. When the validation is complete, its results are shown in the Problems view. If the view is not displayed, select it from Window > Show view > Problems (keyboard shortcut: Shift + Alt + Q + X). The widget application settings are defined in the config.xml file. The <tizen:app-widget> element indicates the widget settings. The widget application is started and initialized with the index.html file. The <content> field src attribute defines the starting point. If the widget requires privileges, add them to the config.xml file as well. You can customize the widget/Widget/index.html, widget/Widget/css/style.css, and widget/Widget/js/main.js files. You can add various features (such as asynchronous functions, JS library, and effects) to the widget application using JS. For example, if a JS-based animation effect is needed, add the requestAnimationFrame() method or some other animation library to the JS file. Similarly, to change the UI elements' visual looks or add CSS-based effects (including animation), modify the CSS file. You can define the widget as a standalone or combined (Web application + Web widget) application. The widget application can be a standalone application, which means that it does not connect to a Web application, or it can be combined in the same package with a Web UI application. 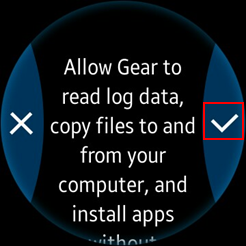 However, you cannot publish a standalone widget in the Tizen Store. 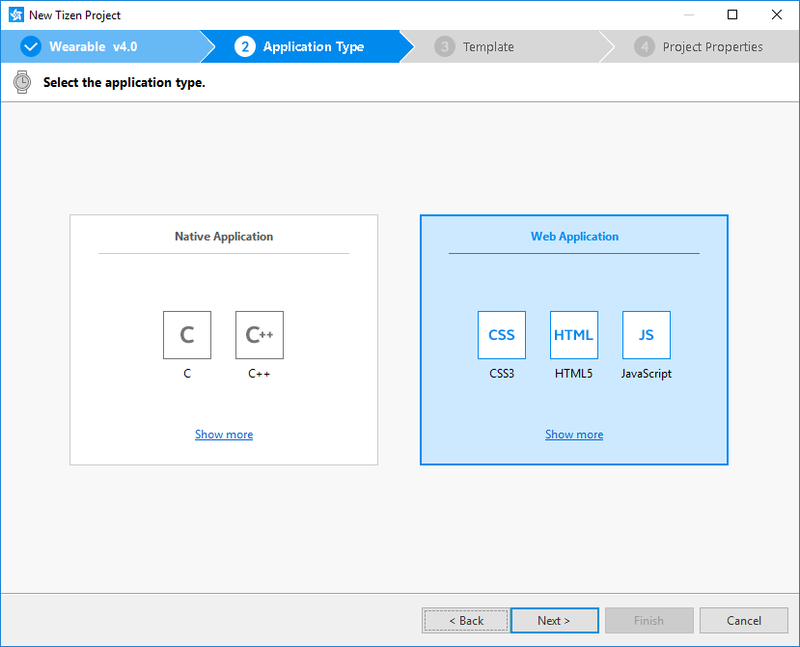 Create a Web UI application and the widget application. 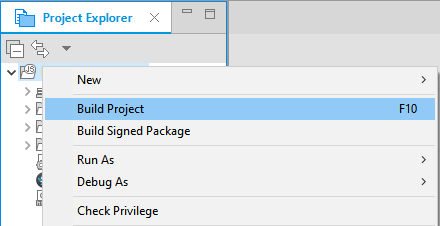 In the Project Explorer view, right-click the Web application, and select Properties > Tizen Studio > Package > Multi, and select the widget to be included in the package. In the following figure, the Widget widget application is packaged with the App UI application. The Widget widget application indicates this with the [with App] text. You can run the Web widget application on the emulator or a real target device. The widget application created with the Widget template has a simple user interface with a text component showing the Hello Widget text on the screen.